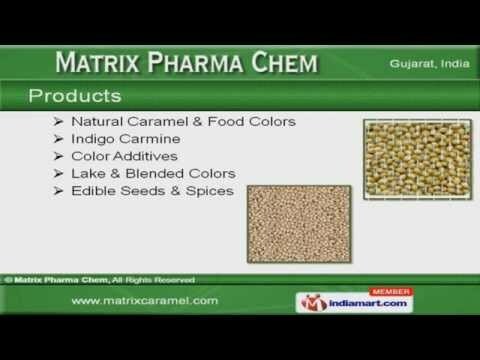 Welcome to Matrix Pharma Chem, Manufacturer & Exporter of Food Colours. We are an ISO 9001:2008 certified company, incepted in 1988 at Ahmedabad. Our market base is spread across America, Europe, East Asia & other countries.Quality centric approach, large production capacity & excellent pre delivery inspection are some of the key features of our organization. We are engaged in offering Food Colors, Indigo Carmines, Color Additives, Edible Seeds & Spices. Our Natural Caramels & Food Colors are widely acclaimed in the market. We are specialized in offering Indigo Carmine Colors. Along with that we provide Tartrazines, Quinoline Yellow & Ponceau 4R.Lake& Blended Colors are some of our best selling products. We are specialized in offering Edible Seeds & Spices.